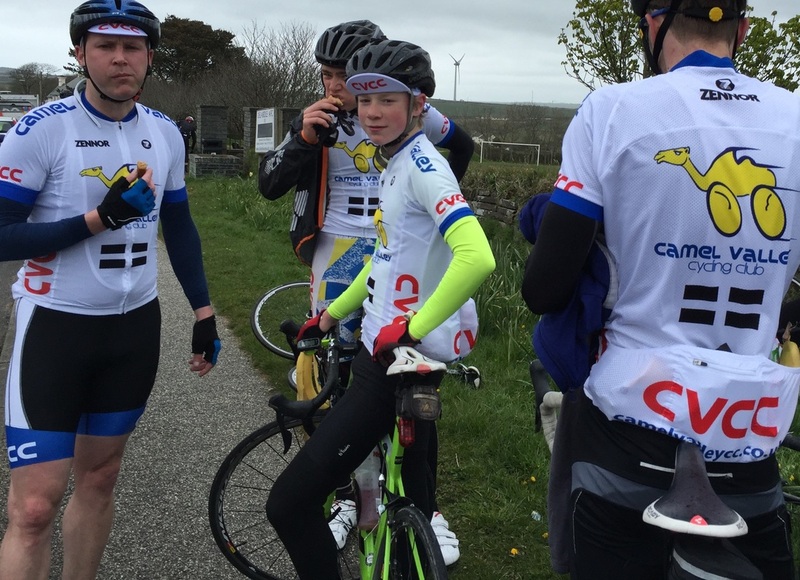 Local Cycling Club Comes to the Rescue! 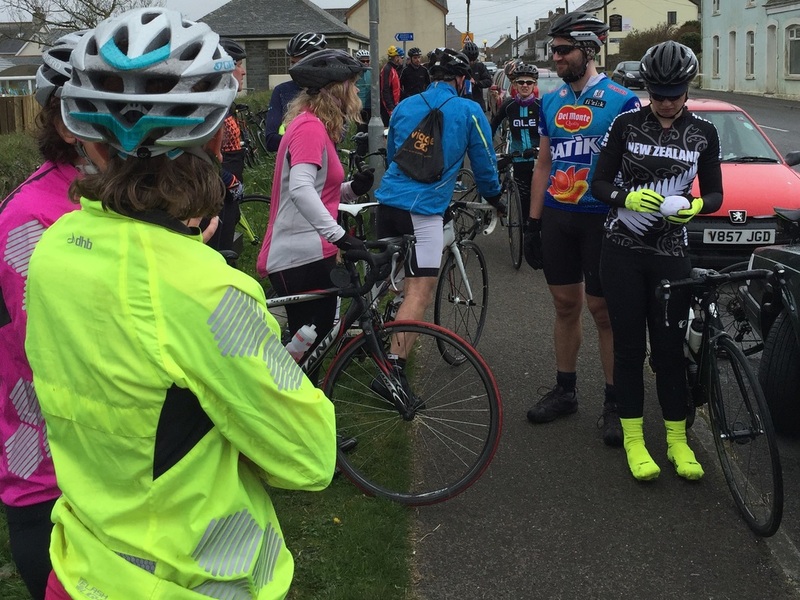 ﻿​Hundreds of cyclists from all over the country were looking forward in to riding the 'Cornwall Tor' cyclosportive event on Sunday 1st May (an organised, mass participation bike ride). But with only a few weeks to go, KiloToGo, the company organising the event, went into receivership and the event was cancelled with no refunds available. 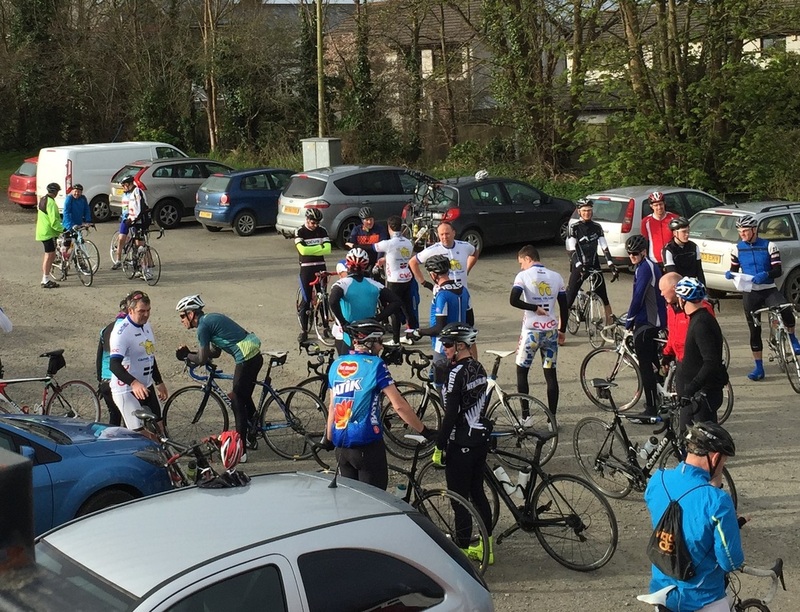 Not only had people paid for the event, but many had booked accommodation and travel to Wadebridge. 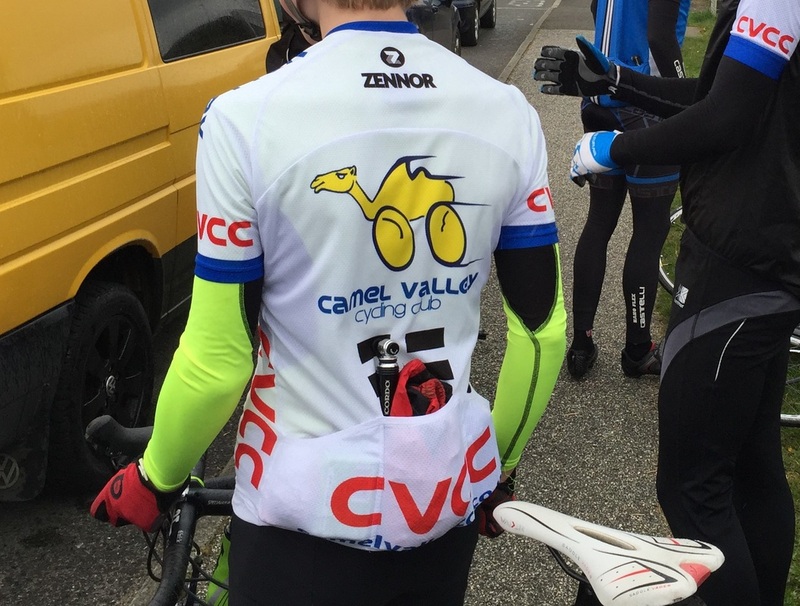 So into the breach stepped Camel Valley Cycling Club (as WCCC was then known)! 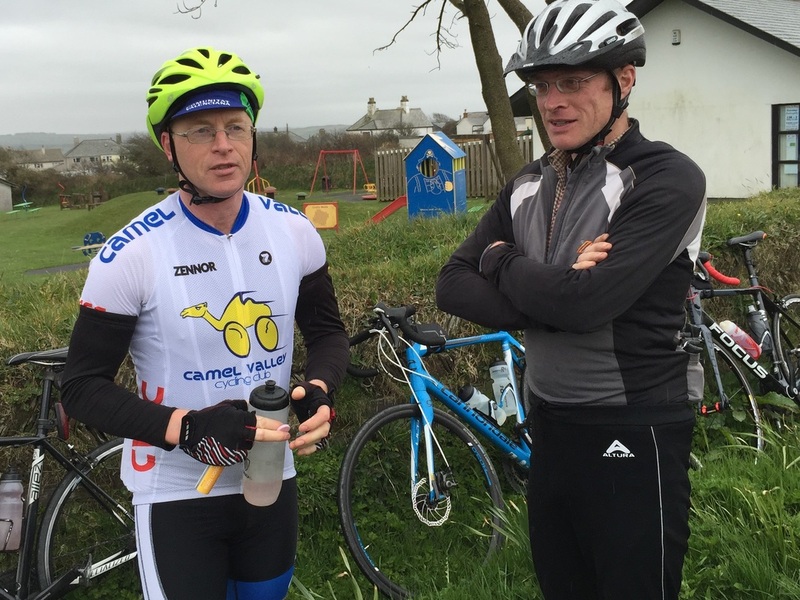 Based in Wadebridge, many of the club members were planning to take part in the event, so when they heard it was cancelled they organised an alternative event: 'The Camel Tor'. Word was spread via the KiloToGo website and social media. Unlike the original event, this would be completely free to those taking part. The 'Camel Tor' event offered three alternative bike rides at 42, 85 or 111 miles, wittily named the 'Dromedary', 'Bactrican' and 'Humphrey' respectively (well, what else do you call a three-humped camel?). All three routes explored the beautiful coast north of the Camel estuary, and also Bodmin Moor, with the longest ride going all the way up to Bude. The routes were all hilly too, involving between 3,000 and nearly 10,000 feet of climbing! 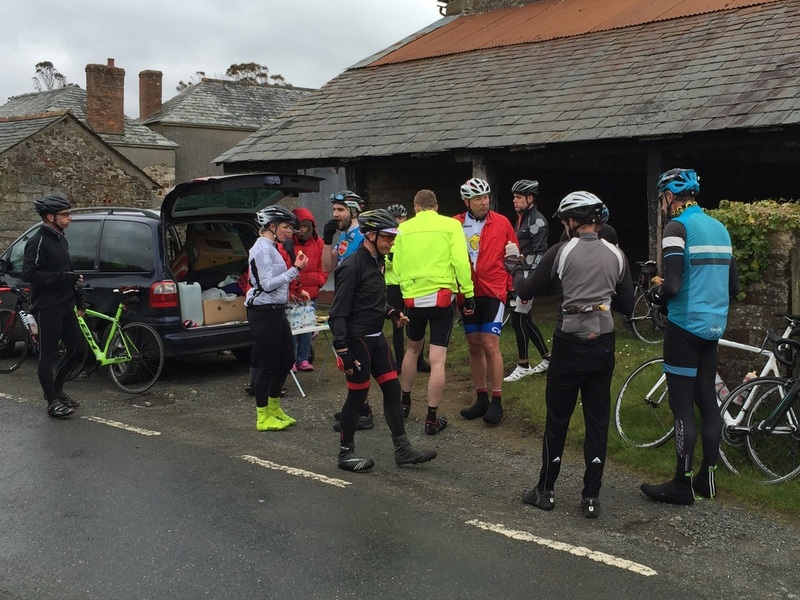 Camel Valley CC members and their families quickly pulled out all the stops to organise food stations and emergency support for the cyclists, all on an entirely voluntary basis. The event was also helped by Wadebridge Co-Op who generously donated large boxes of bananas and bottled water, and by Wadebridge Town Football Club who kindly provided their club house as a base for the event (including parking and showers). 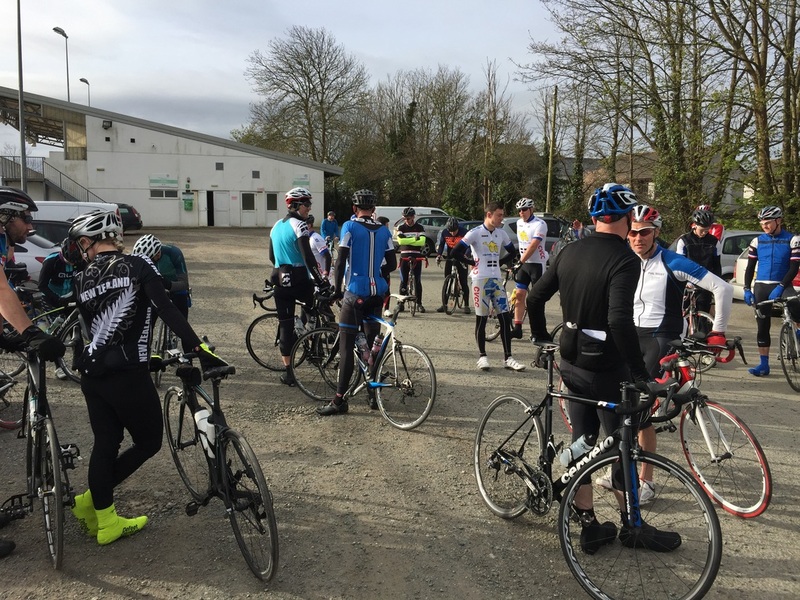 On the day, around 50 people turned up and rode, including visitors from Bristol, Bournemouth, Oxford, London, Chelmsford, Manchester and Chesterfield. The sun peeked out for a moment just before they set off, but that was the last anyone saw of it – contrary to the forecast, it turned out to be a very wet, cold and windy day! And yet despite that, everyone who took part thoroughly enjoyed it! 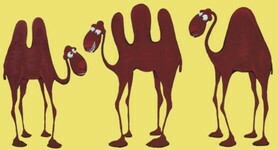 The cyclists rode in groups – each led by a 'camel' – to support each other and help less experienced riders. 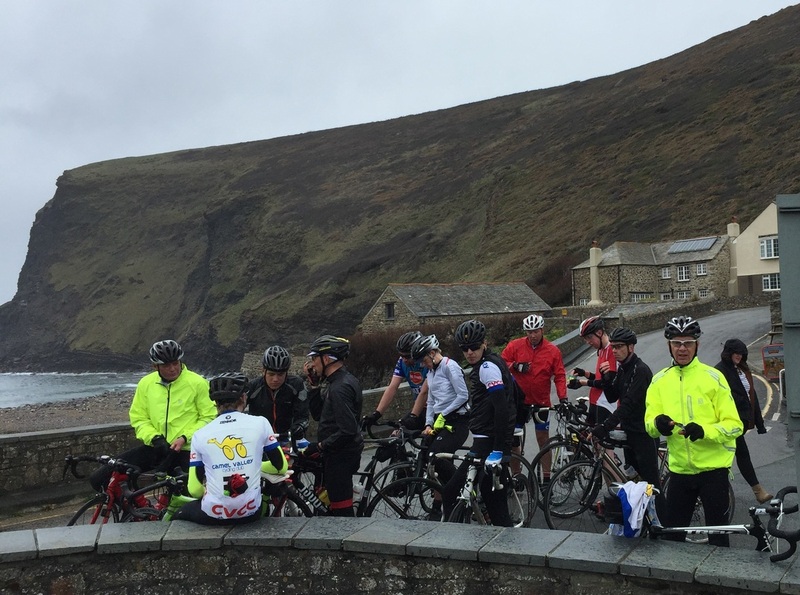 With the routes involving climbs like Port Quinn, Port Gaverene, Boscastle (in both directions), Crackington Haven and the dreaded Milook, the moral support proved more important than the mechanical! 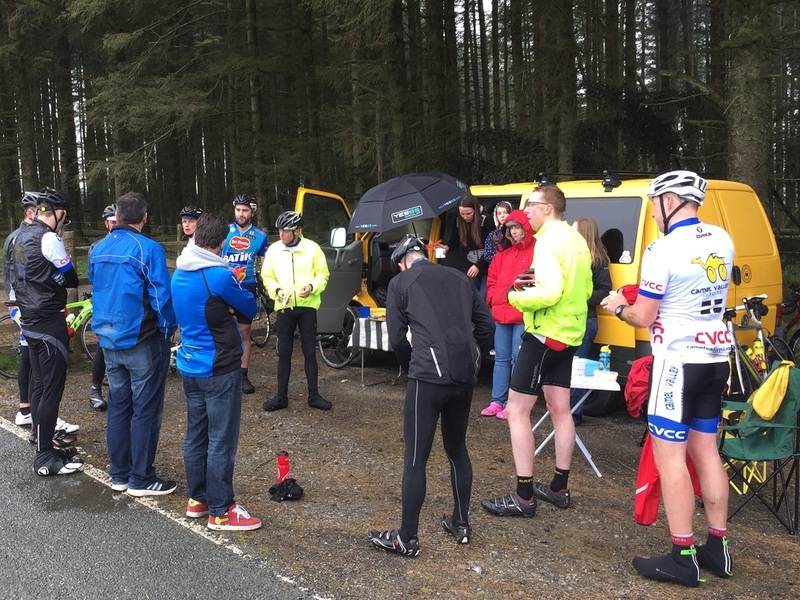 Some Camel Valley CC members drove vans and cars round the course, stopping at prearranged points to dish out bananas, homemade cakes and hot drinks – all much appreciated! First outing for the new CVCC kit! A big thank you and well done to everyone involved in putting on The Camel Tor - and doing it in a very short space of time. I would like to thank the Co-Op for donating bananas and bottled water for the riders; the members and families who helped with the feed stations, support vehicles and refreshments; and finally to the riders, who came from near and far. It was tough going out there - some lovely climbs, strong winds and rain made for interesting riding conditions. You are all welcome to ride with the Camels any time. Chapeau to you all! Can I ride the Camel Tor this year?